DAVID TERESHCHUK, correspondent: Holy Mass begins in a New York church that is threatened with closure. Catholic authorities throughout the country are shutting down and merging parishes as they trim budgets. But here, the Archdiocese of New York has targeted a church with a very distinctive character. It is St. Elizabeth’s on the Upper East Side of Manhattan, and it caters to a specific congregation—of deaf people. That congregation is now fighting the closure decision. EVELIS CRUZ (St. Elizabeth’s choir leader, signing and interpreted by Sister Janet Marchesani): I refuse to let that happen. No. It’s not right. Hearing people, when churches close, they go to another one close by; they could go to that church. But we don’t have any different church to go to. We have one church. I refuse to let the church close. TERESHCHUK: St. Elizabeth’s is far from alone in being designated to close. The archdiocese has announced similar plans affecting about a hundred churches. 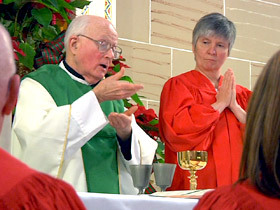 Parish priest Father Patrick McCahill, who has been fluent in sign language since his seminary days, thought his church would have escaped the budget cuts. REV. PATRICK McCAHILL: Frankly, I was a bit naïve. I thought the special services we provided for deaf people would kind of save us, basically. TERESHCHUK: Nationally and across all denominations, there is scant provision for deaf worshippers. St. Elizabeth’s, though, is notable for being dedicated to the deaf—and in all sorts of ways. As well as special prayer and ritual, the church also offers a lively social center. REV McCAHILL: They feel very much at home. This is their spiritual home. They will use that term all the time. KALMAN CHANY (St. Elizabeth’s lay trustee): Our parishioners come from throughout New York City, Westchester, and the lower Hudson Valley to St. Elizabeth’s here because of its central location. REV McCAHILL: Some of them will get here at 6:00 in the morning, and they’ll stay here ‘til 4:00 in the afternoon. It’s where they belong. It’s where they feel comfortable, it’s where they can communicate easily, where they’re accepted for being who they are. TERESHCHUK: On the spiritual side, one very distinctive element in St. Elizabeth’s ministry is a deaf choir. The hymns they perform are not sung. They are signed. ST. ELIZABETH’S CHOIR (performs in silence): With hearts full of gladness, Come into His presence, All the Earth proclaim the Lord. CRUZ (via interpreter): A choir for the deaf is important. It helps us to connect to God. Because the people are looking, they pay attention, and they join in, so that makes me feel good. TERESHCHUK: Under the archdiocese plan, when the church closes, everyone would move to worship at a neighboring church. That would be six blocks away at St. Monica’s parish church. 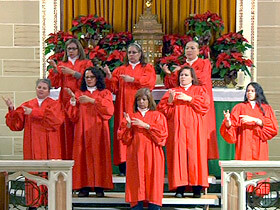 But, says McCahill, St. Monica’s is simply not as well-suited to the needs of deaf people as St. Elizabeth’s. Those needs, of course, are mainly visual. REV McCAHILL: This is a lovely church, but it’s also much bigger. The altar is much larger, the pews are much further back. You have people kind of straining their necks to look up. You have behind me very lovely marble work, but again, it’s very busy. If you want people to pay attention to the signing, things have to be as simple as they can be, behind the signer. TERESHCHUK: There are other practical drawbacks to St. Monica’s, according to St. Elizabeth’s lay trustees like Kalman Chany. CHANY: It’s more like a cathedral. It’s very large. Its social hall, unlike ours, though, is not handicapped accessible, and it currently does not comply with the New York City building code. TERESHCHUK: Perhaps ironically, the archdiocese headquarters, from which the closure decree was issued, is named for a previous New York archbishop, Cardinal Terence Cooke, who first designated St. Elizabeth’s as a place for special deaf ministry 35 years ago. The current Archbishop, Cardinal Timothy Dolan, wouldn’t talk with us, but in response to the outcry of protest over St. Elizabeth’s, he has let it be known that his administration can be flexible. 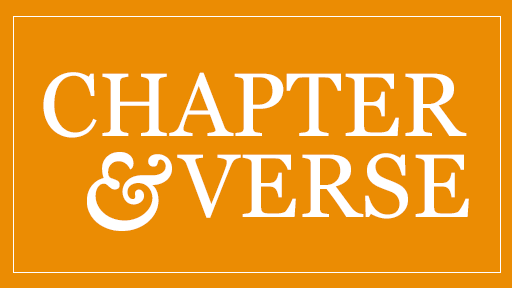 The official word from the archdiocese now is that if the needs of the deaf congregation cannot be met at the alternative church that’s been nominated, then they will get met somewhere else. But at St. Elizabeth’s, that’s not satisfying anyone. The church’s uniqueness, they feel, cannot be replicated in combination with any other church. CHANY: Here, unlike other parishes, the deaf have priority. Other churches, to make ends meet, rent out their facilities. This parish here financially keeps things going for the deaf to have their ministry here. TERESHCHUK: So the congregation is now going over the head of even their cardinal archbishop. Catholic canon law says they can petition the pope to get the closure decision reversed. Orders from Rome to reverse an archbishop’s decree are extremely rare. 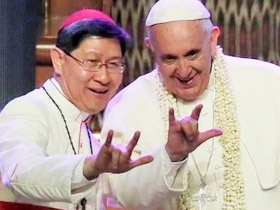 But they do happen, and St. Elizabeth’s worshippers draw encouragement from Pope Francis and his well-demonstrated concern for the deaf, among other communities with physical challenges. Another lay leader, Margaret Shea, is hopeful Rome will recognize her church should continue its special ministry, without having to move. MARGARET SHEA (St. Elizabeth’s lay leader via interpreter): We have a right to the sacrament so we can do it here. We do God’s work all over. We’re the same as hearing people. We need all of that. TERESHCHUK: And you need it in your own place, not somewhere else? SHEA: Right. Yes—if it’s God’s will. TERESHCHUK: “God’s will” may be just what they have to rely on. St. Elizabeth’s, as well as other New York churches trying to resist closure, feel they’ve met bureaucratic obstacles in arguing their case. Father McCahill, though, fully expects that ultimately the voice of the deaf will be heard. REV McCAHILL: You know, Jesus is still in charge of his church. He is still able to change hearts and minds. That’s ultimately the hope in all of this. TERESHCHUK: For Religion & Ethics NewsWeekly, this is David Tereshchuk in New York City. To save money, the Roman Catholic Archdiocese of New York wants to close several dozen of its churches, including the Church of St. Elizabeth of Hungary in New York City known for its 35-year-old ministry to the deaf. But the deaf parishioners are determined to oppose the plan, even appealing to the Pope and arguing that no other church can provide for their needs like St. Elizabeth.